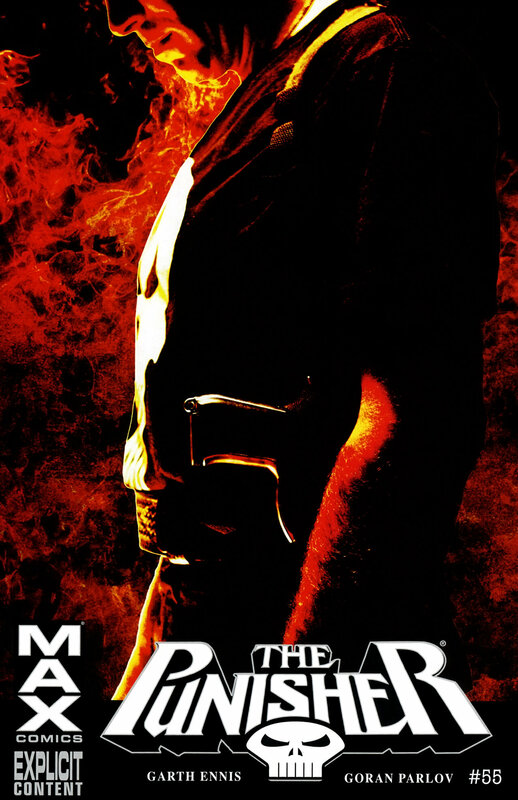 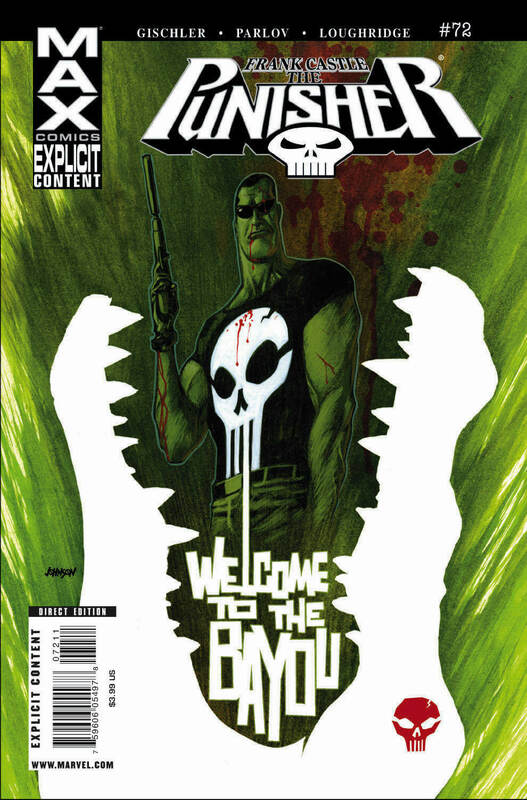 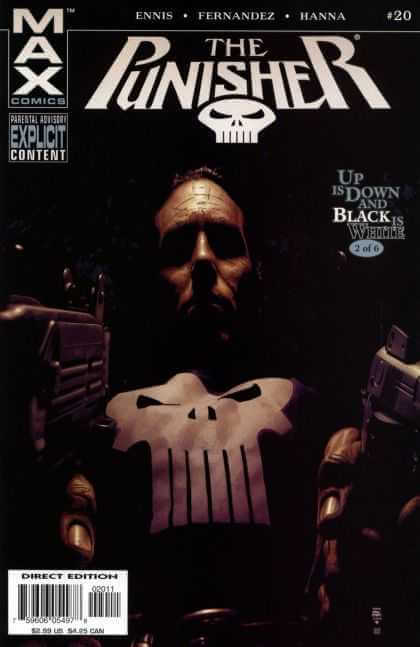 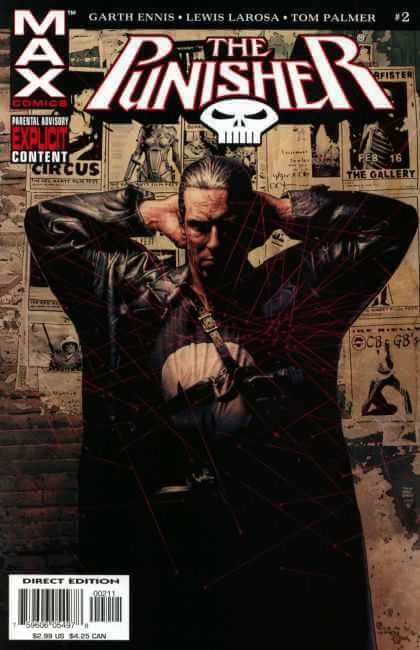 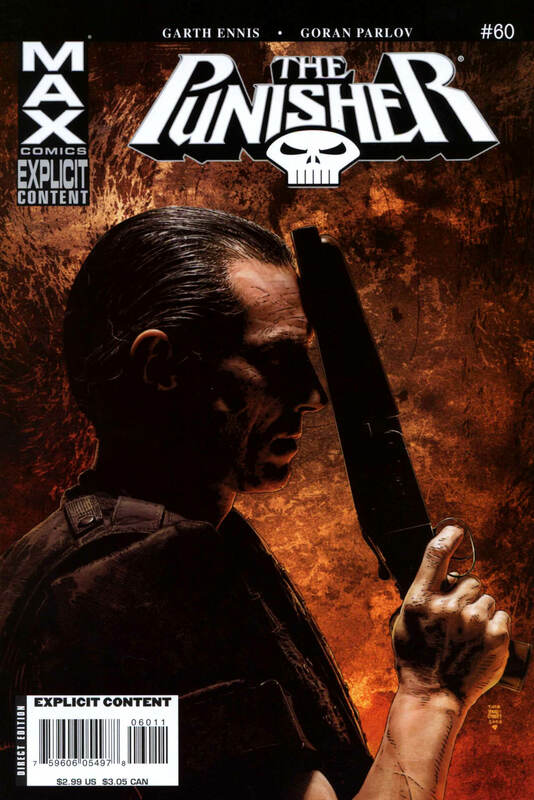 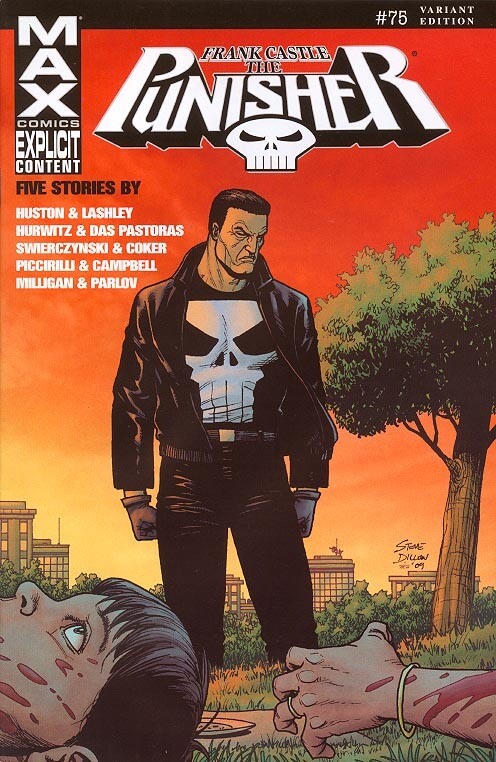 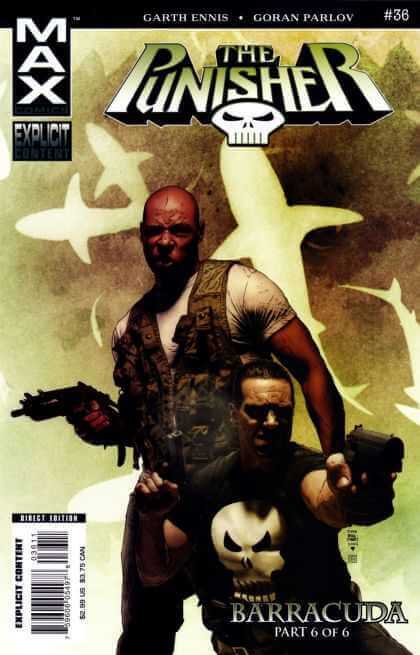 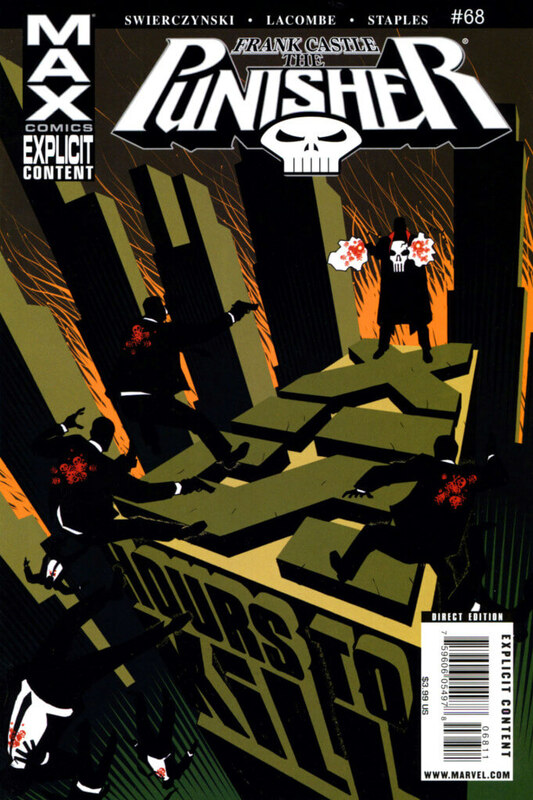 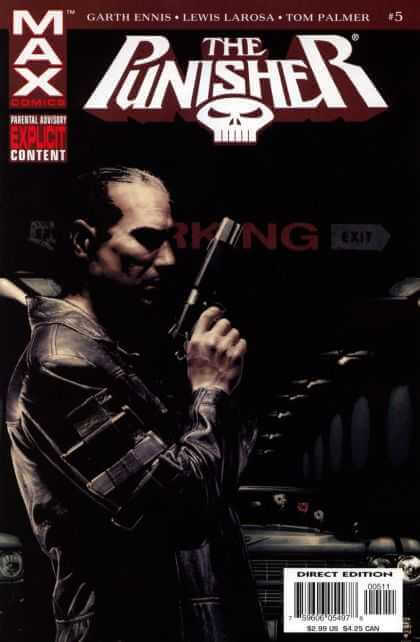 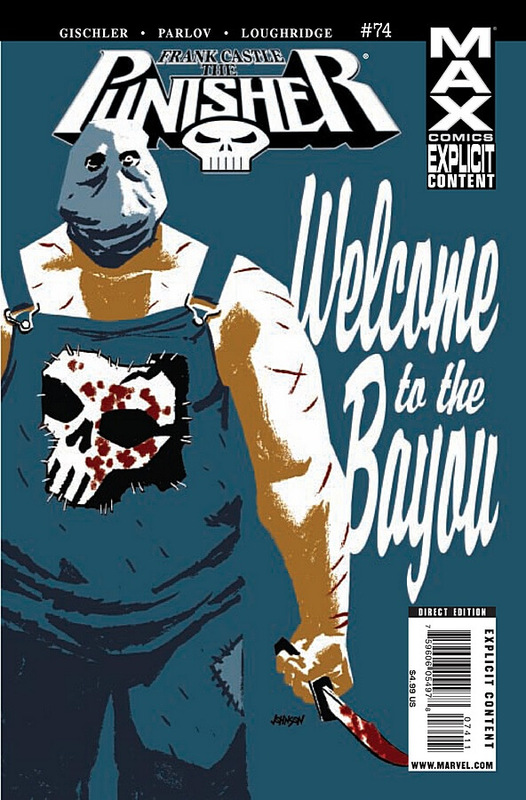 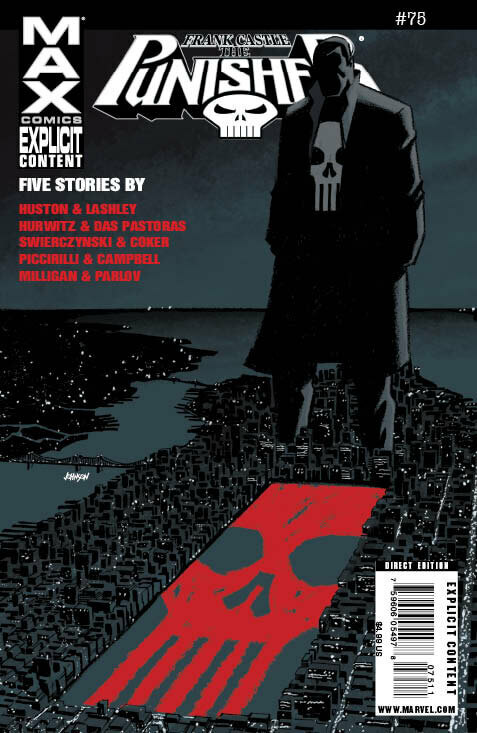 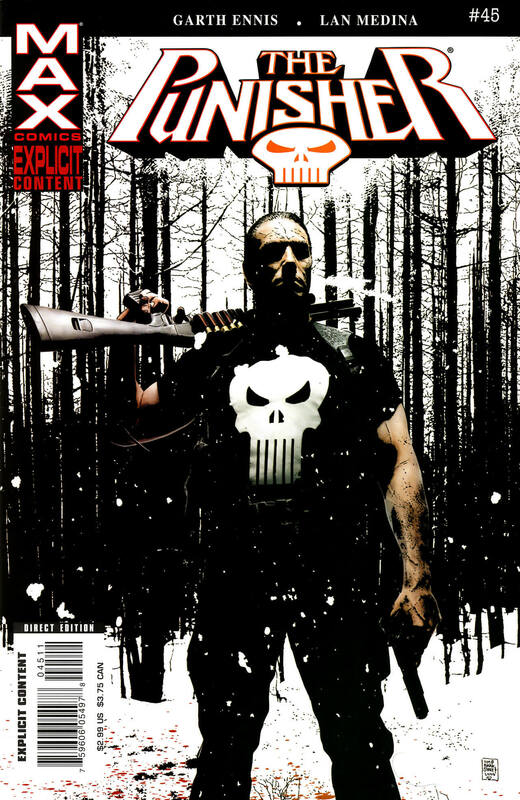 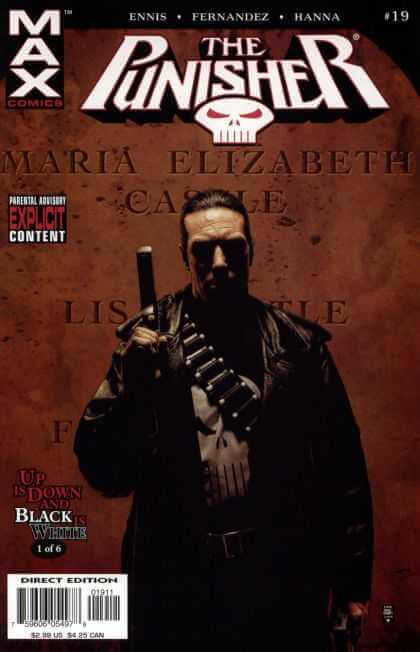 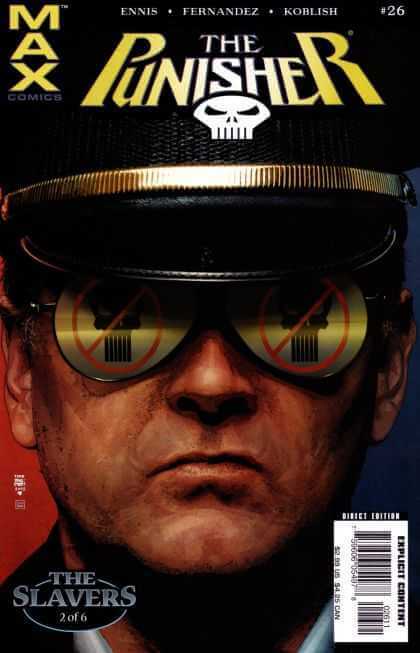 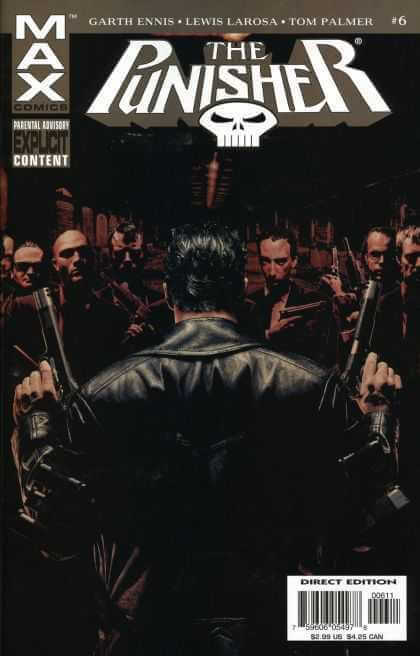 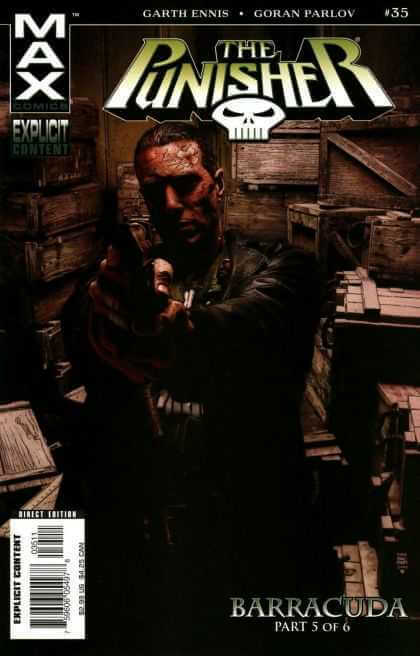 March, 2004 $2.99 “In the Beginning: Part 4” Cover Artist(s): Tim Bradstreet Writer(s): Garth Ennis Pencils: Lewis Larosa Inks: Tom Palmer Colorer(s): Dean White Letters: Randy Gentile Editor(s): Axel Alonso Micro makes an offer to Frank that he can’t refuse! 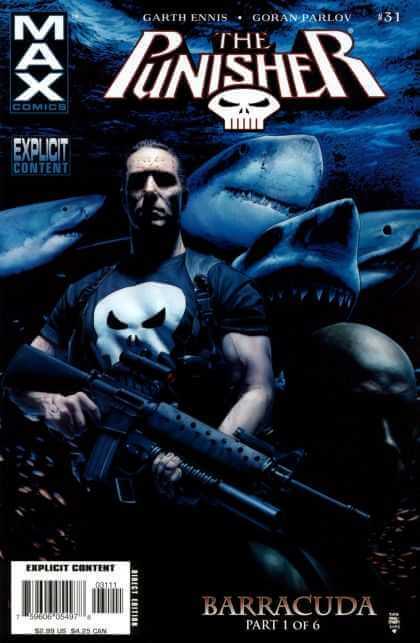 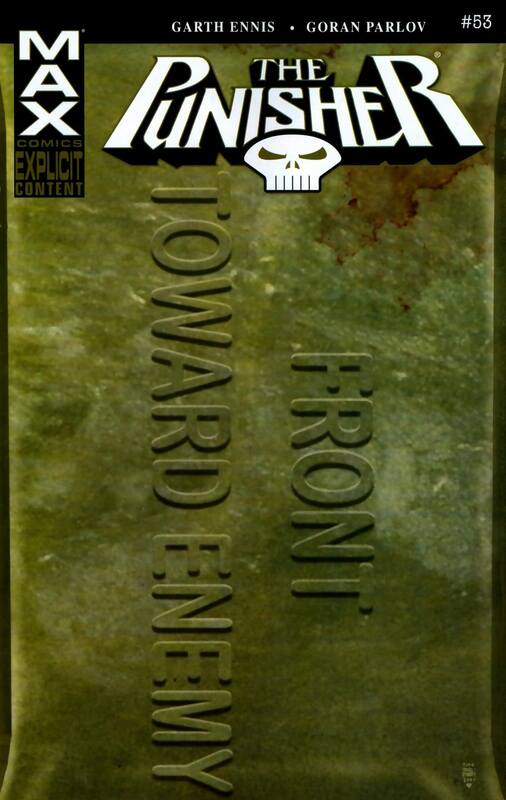 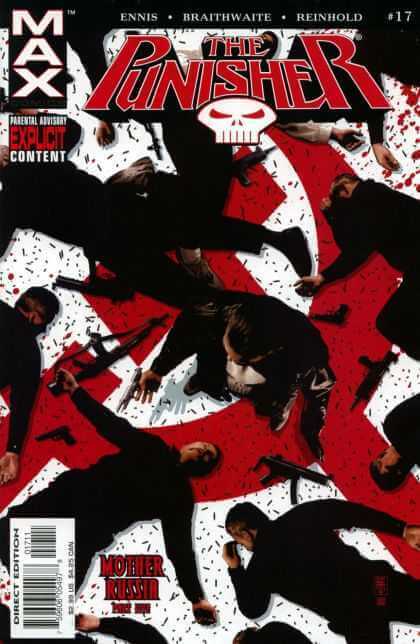 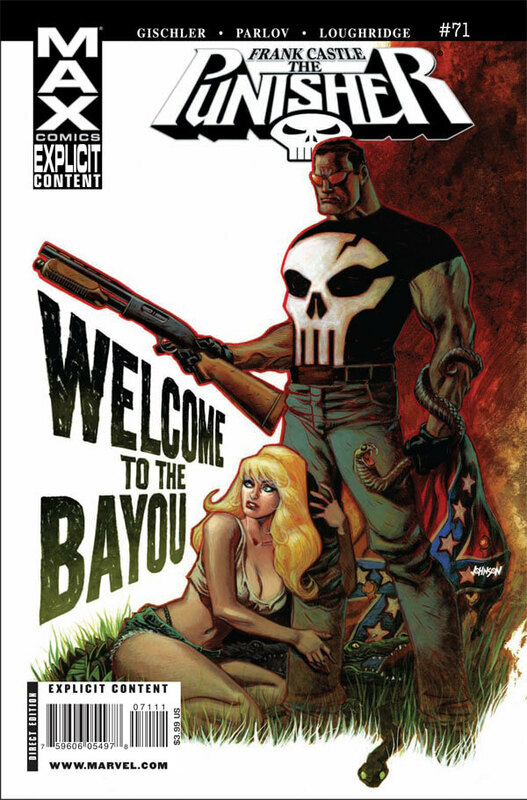 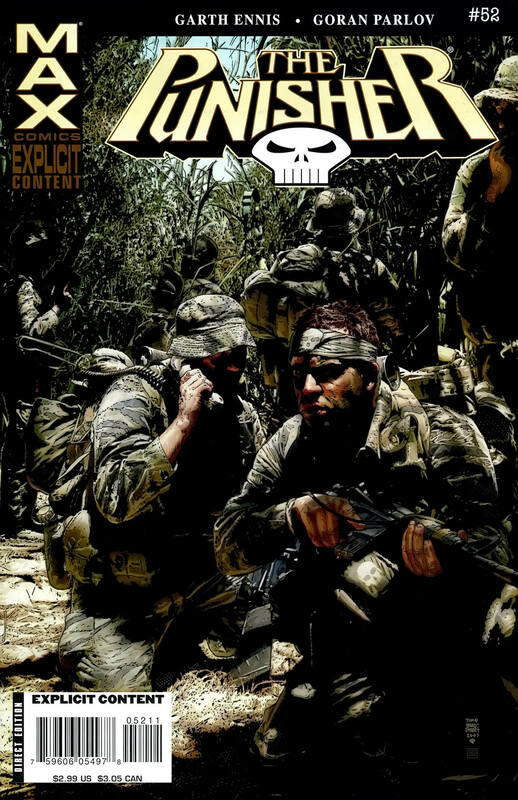 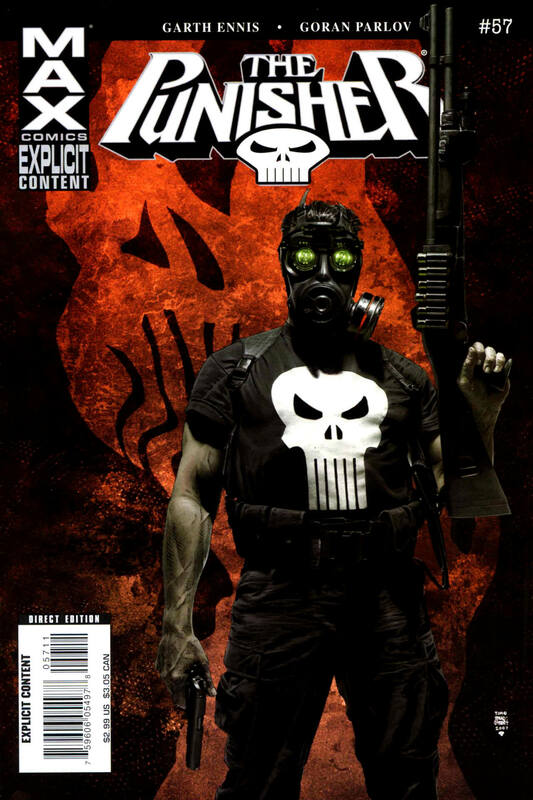 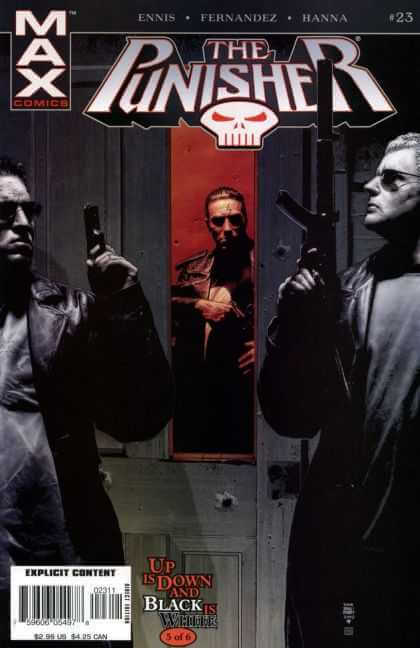 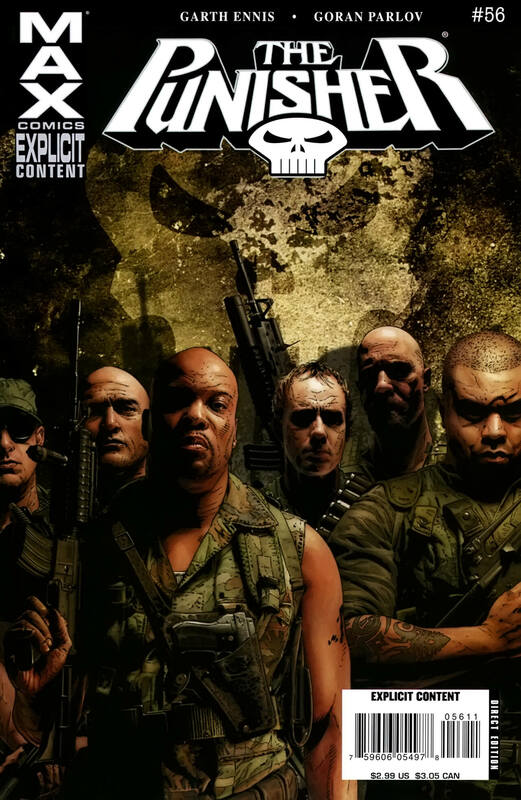 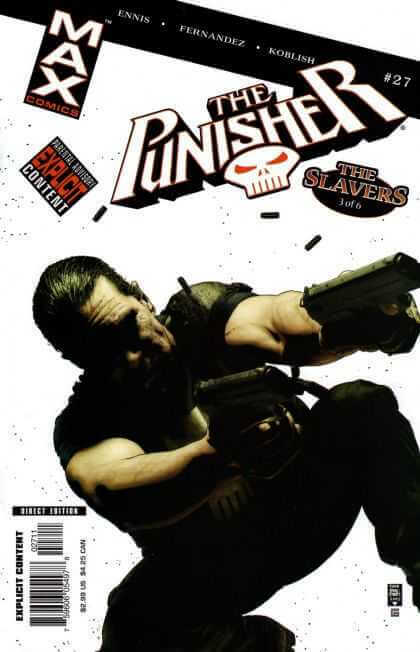 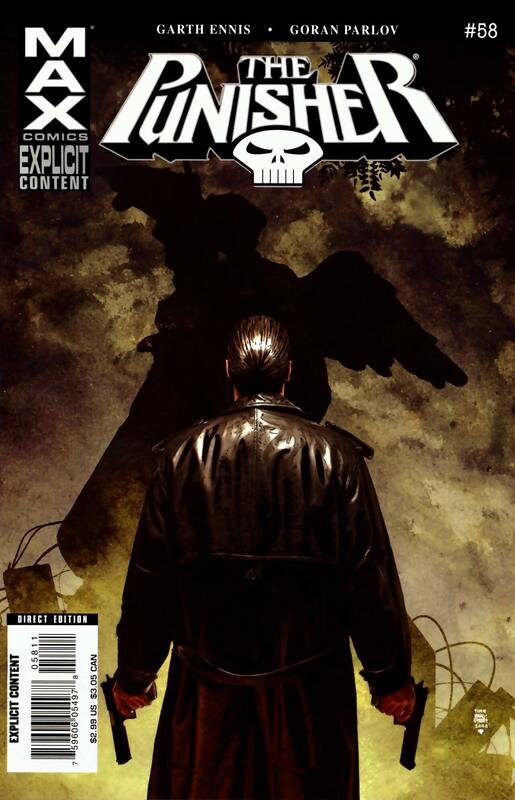 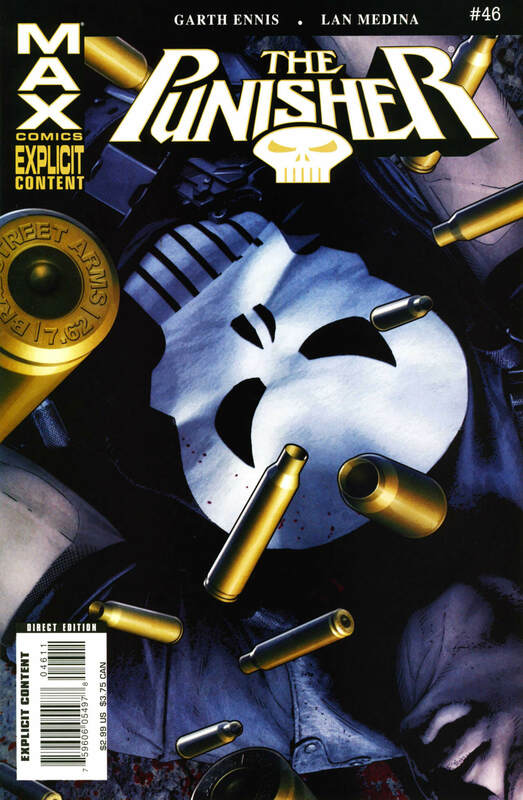 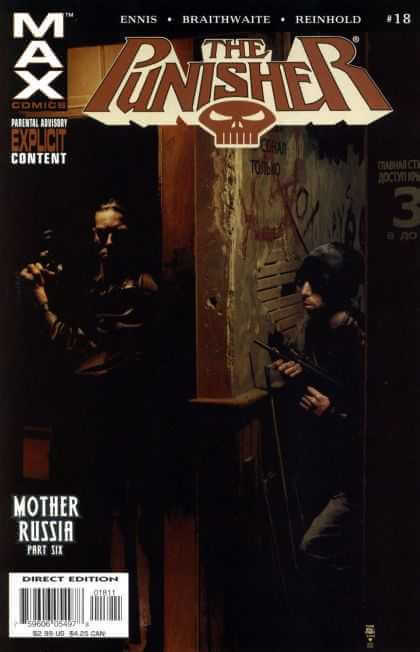 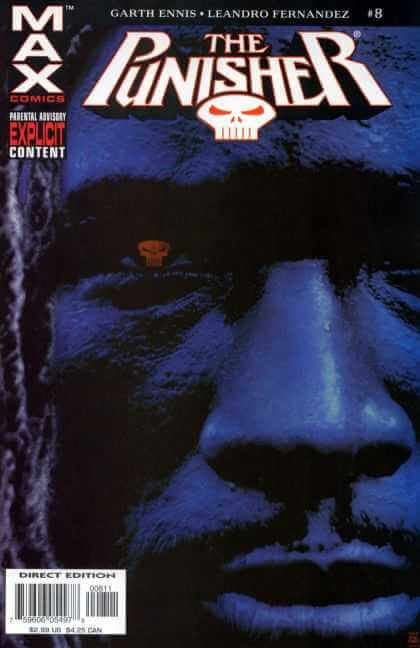 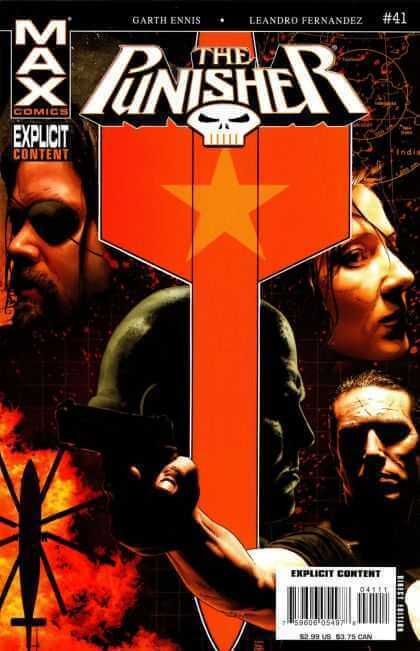 April, 2004 $2.99 “In the Beginning: Part 5” Cover Artist(s): Tim Bradstreet Writer(s): Garth Ennis Pencils: Lewis Larosa Inks: Tom Palmer Colorer(s): Dean White Letters: Randy Gentile Editor(s): Axel Alonso Nicky, Pittsy & Ink just cut through the Alpha team like a hot knife through butter. 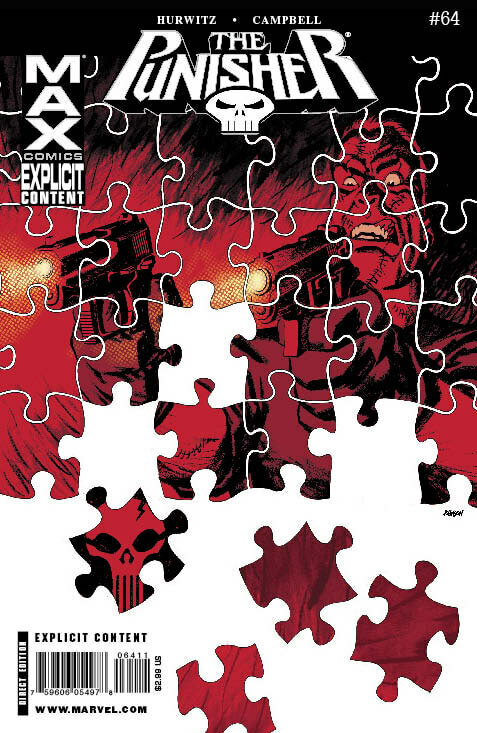 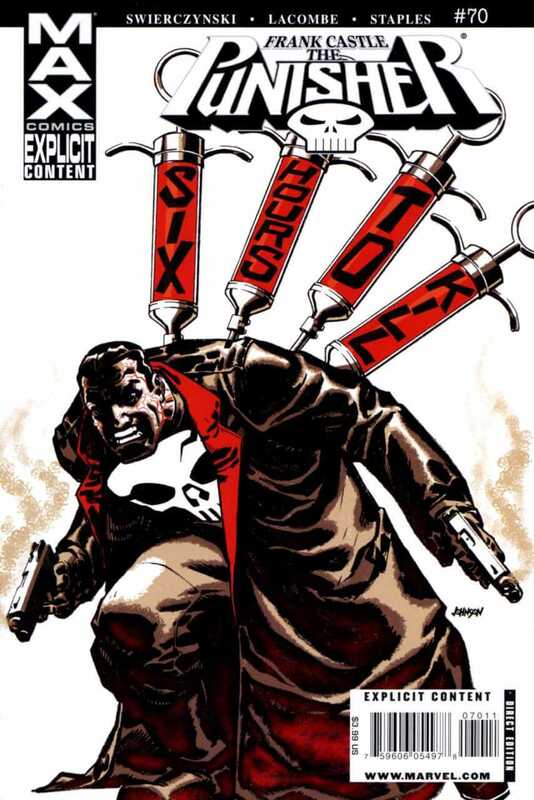 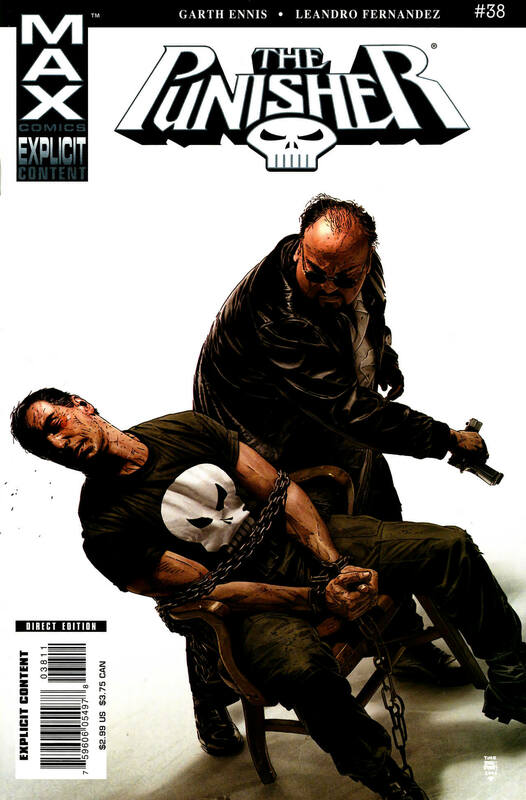 Now they’re aiming for Frank Castle’s jugular. 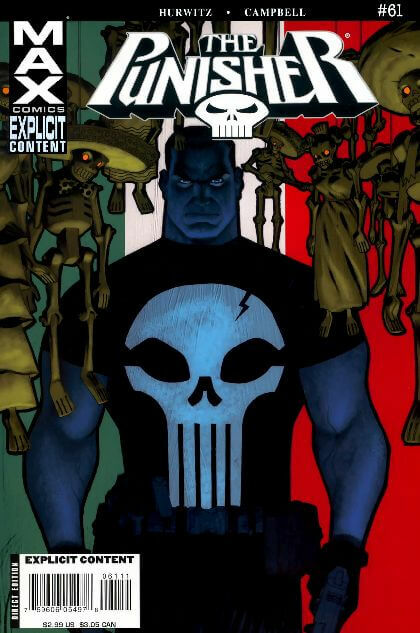 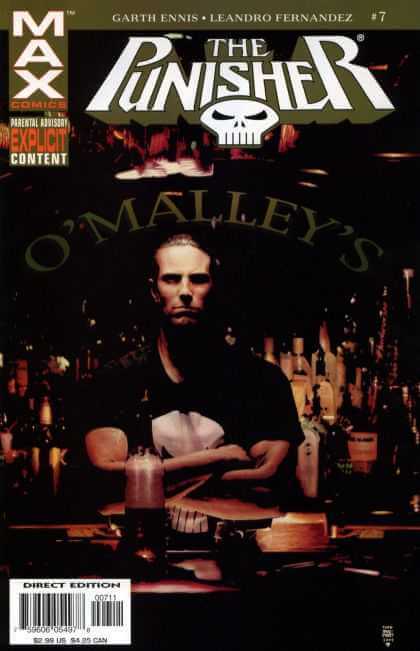 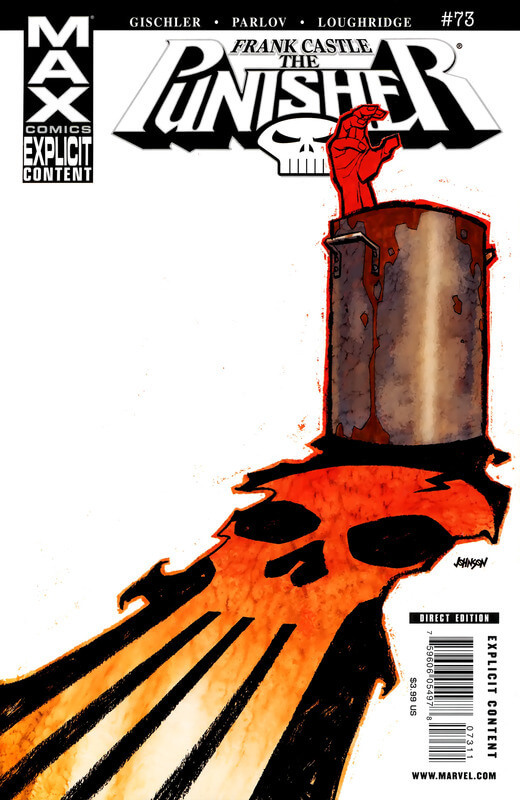 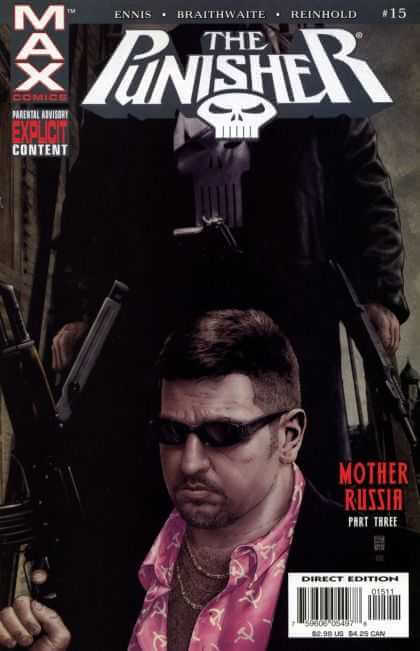 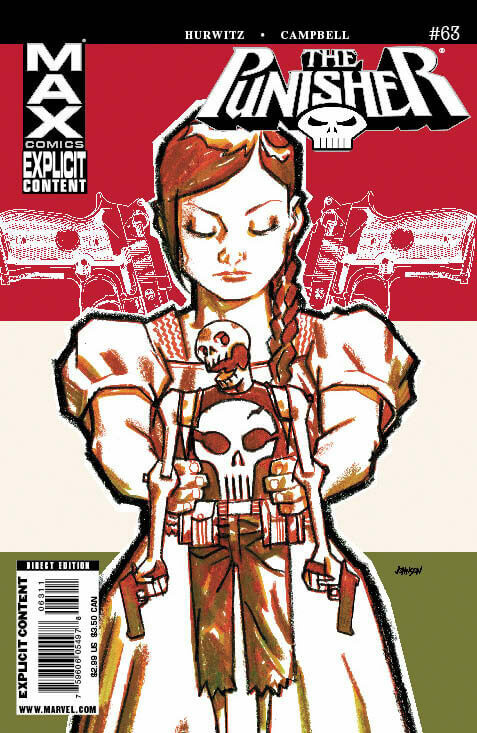 June, 2004 $2.99 “Kitchen Irish: Part 1″ Cover Artist(s): Tim Bradstreet Writer(s): Garth Ennis Pencils: Leandro Fernandez Inks: Leandro Fernandez Colorer(s): Dean White Letters: Randy Gentile Editor(s): Axel Alonso When a bomb explodes in a Hell’s Kitchen pub, Frank Castle embarks on a deadly mission that pits him against two rival gangs. 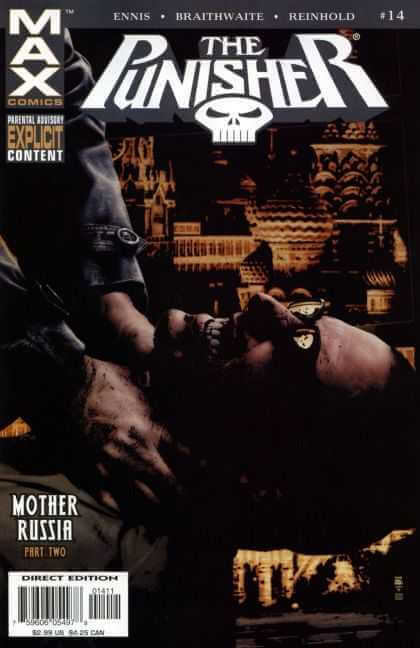 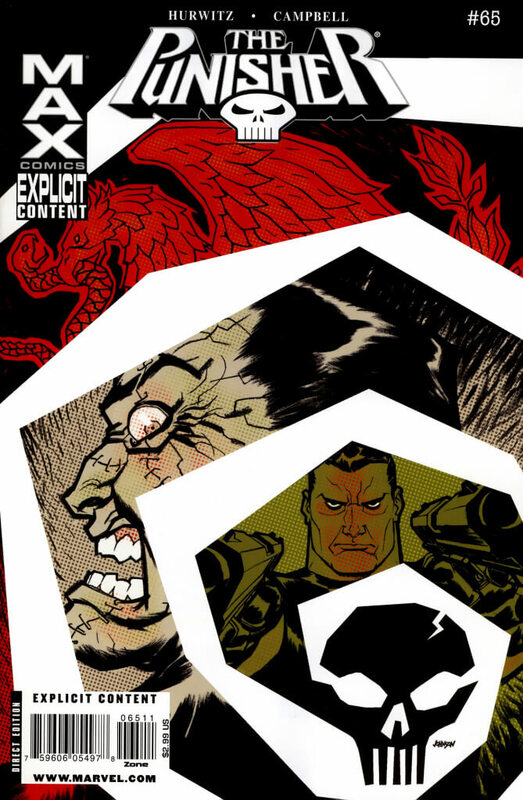 July, 2004 $2.99 “Kitchen Irish: Part 2″ Cover Artist(s): Tim Bradstreet Writer(s): Garth Ennis Pencils: Leandro Fernandez Inks: Leandro Fernandez Colorer(s): Dean White Letters: Randy Gentile Editor(s): Axel Alonso When a bomb explodes in a Hell’s Kitchen pub, Frank Castle embarks on a deadly mission that pits him against two rival gangs. 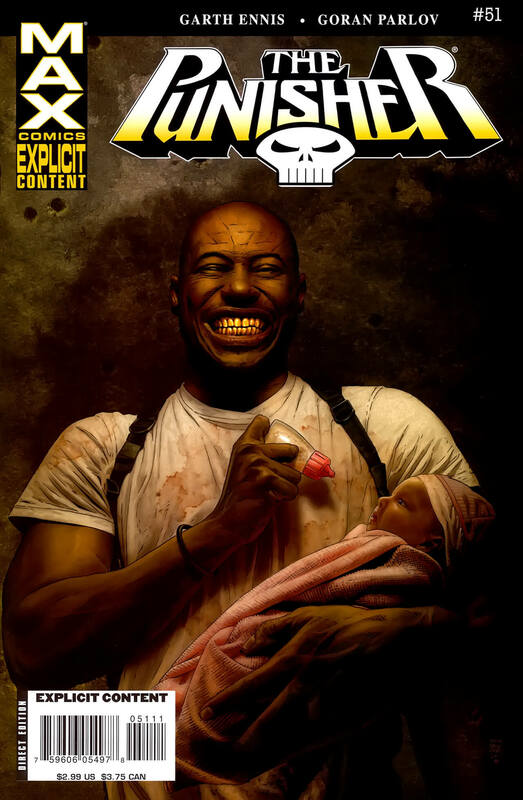 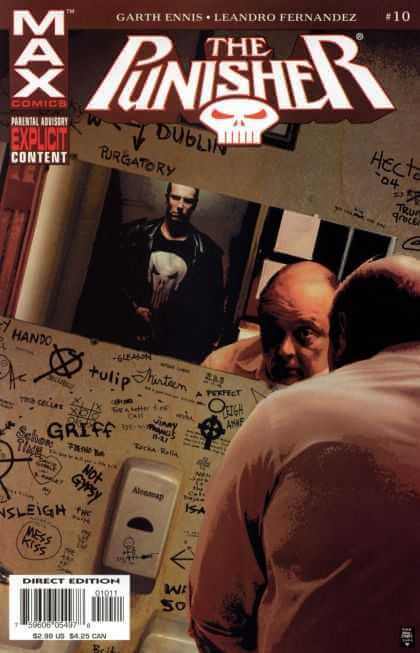 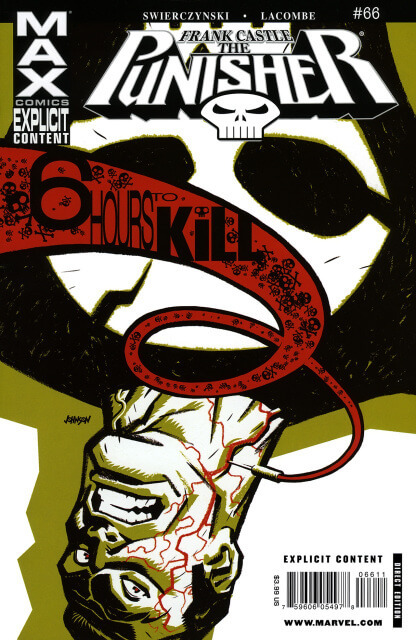 October, 2004 $2.99 “Kitchen Irish: Part 5” Cover Artist(s): Tim Bradstreet Writer(s): Garth Ennis Pencils: Leandro Fernandez Inks: Leandro Fernandez Colorer(s): Dean White Letters: Randy Gentile Editor(s): Axel Alonso Finn Cooley’s got the kind of face only a mother could love… and Frank Castle can’t wait to put a hollow point right between his eyes. 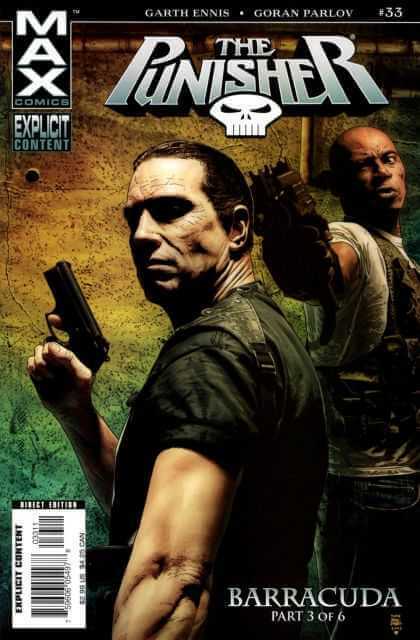 November, 2004 $2.99 “Kitchen Irish: Conclusion” Cover Artist(s): Tim Bradstreet Writer(s): Garth Ennis Pencils: Leandro Fernandez Inks: Leandro Fernandez Colorer(s): Dean White Letters: Randy Gentile Editor(s): Axel Alonso Everyone gets just what they deserve. 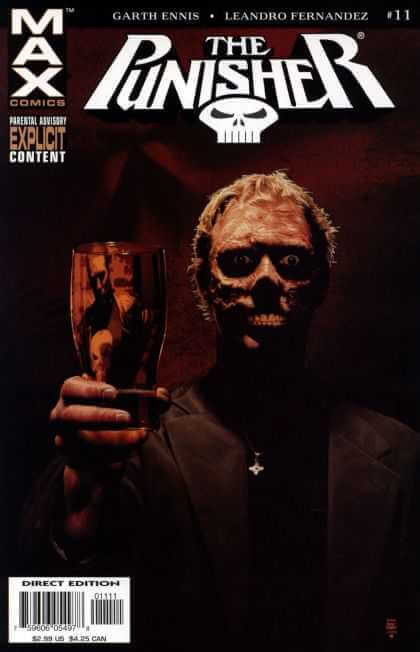 The bloodcurdling, bloodthirsty, bloody ending to Kitchen Irish! 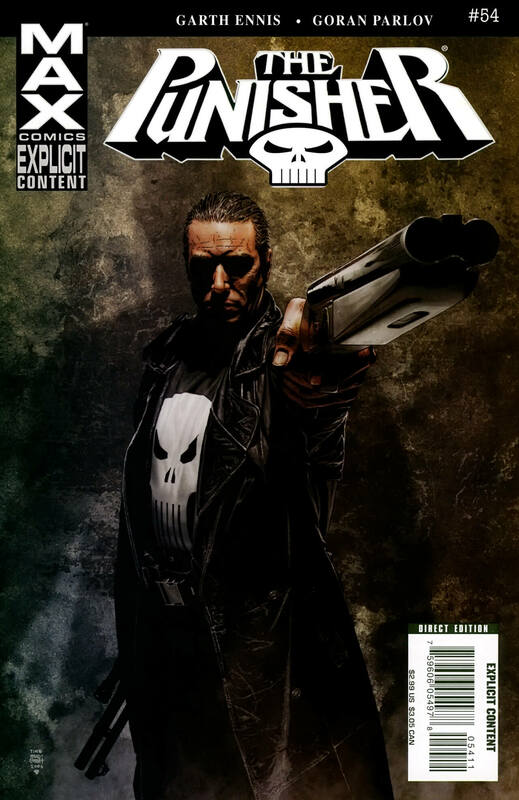 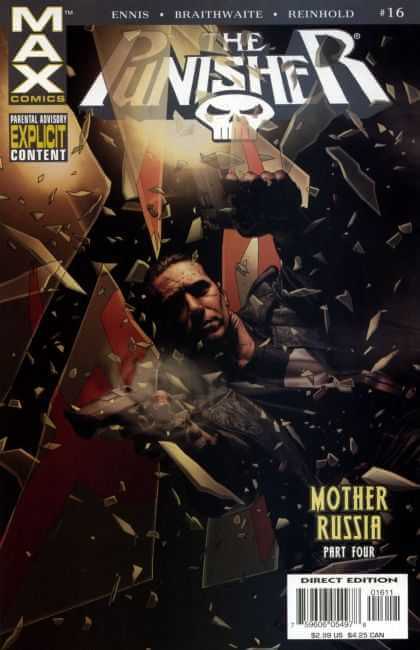 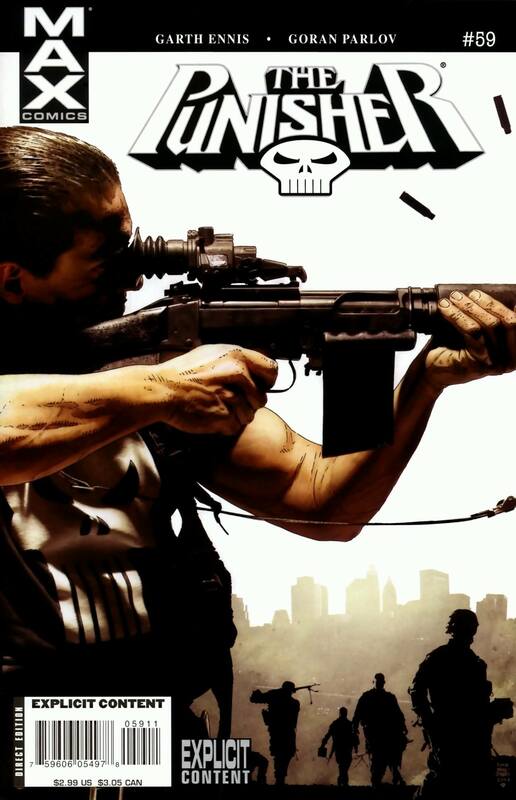 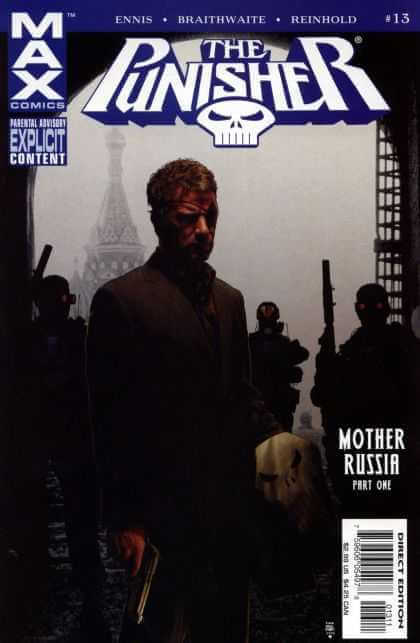 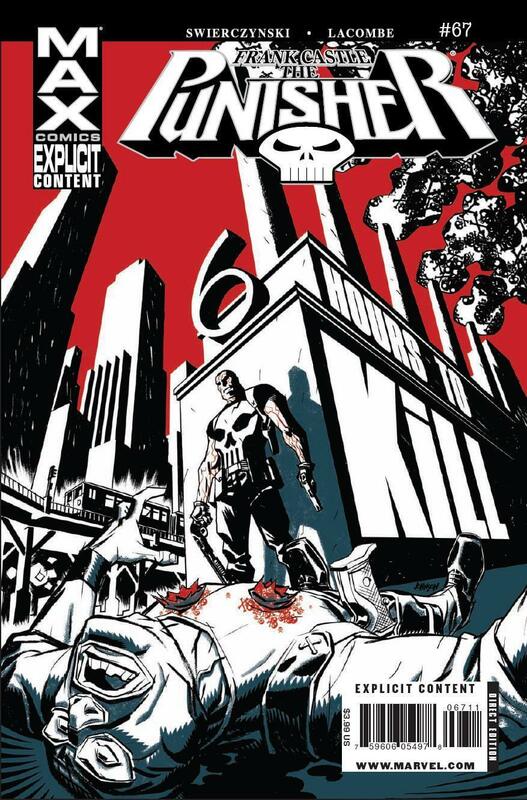 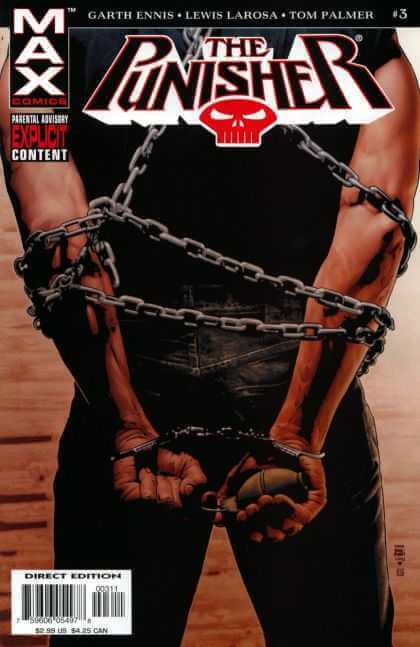 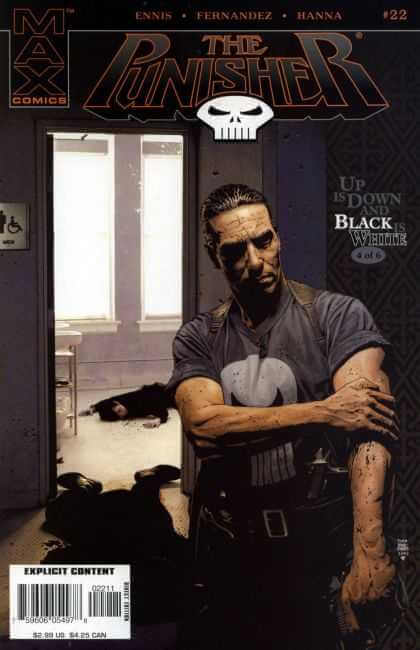 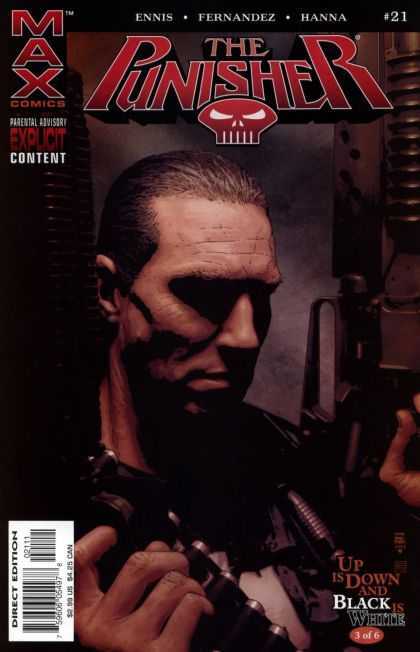 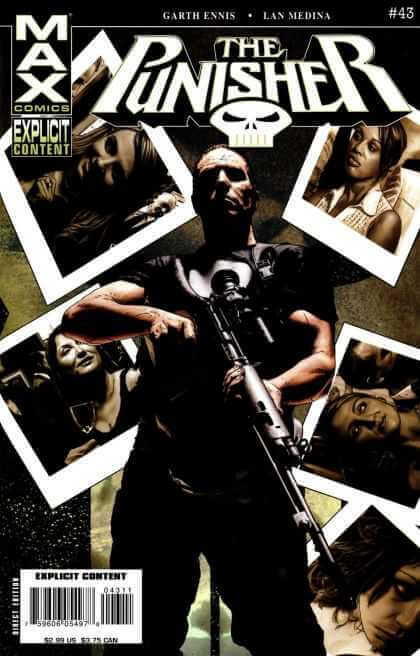 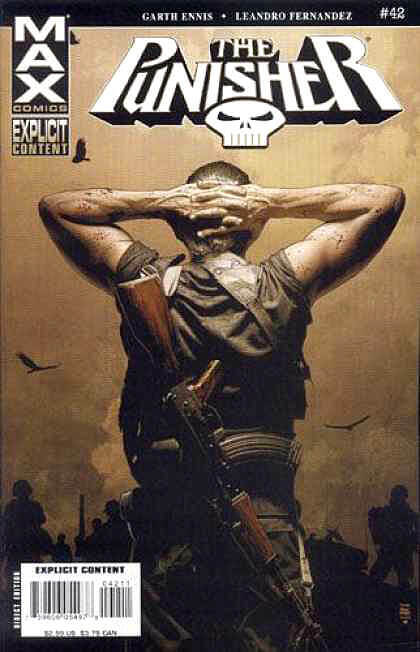 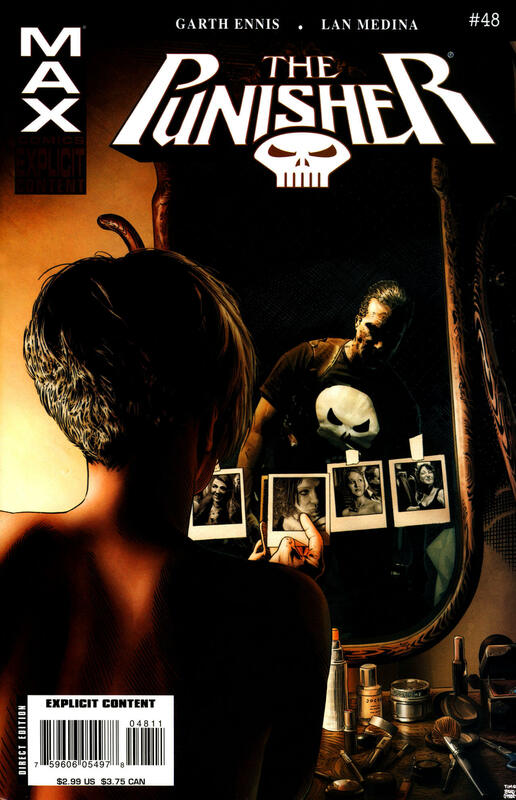 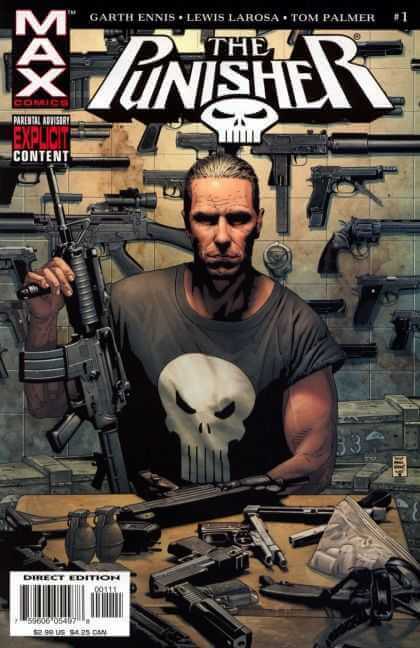 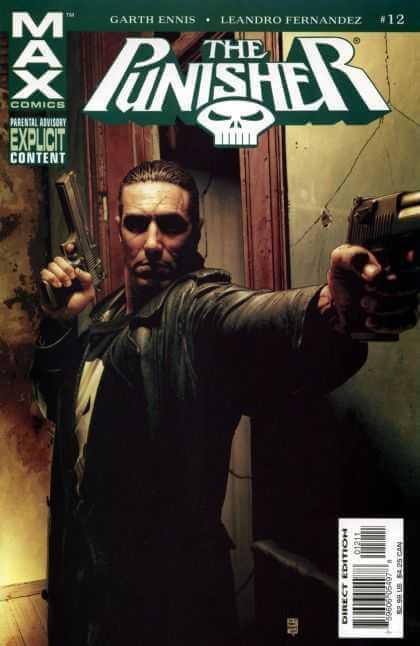 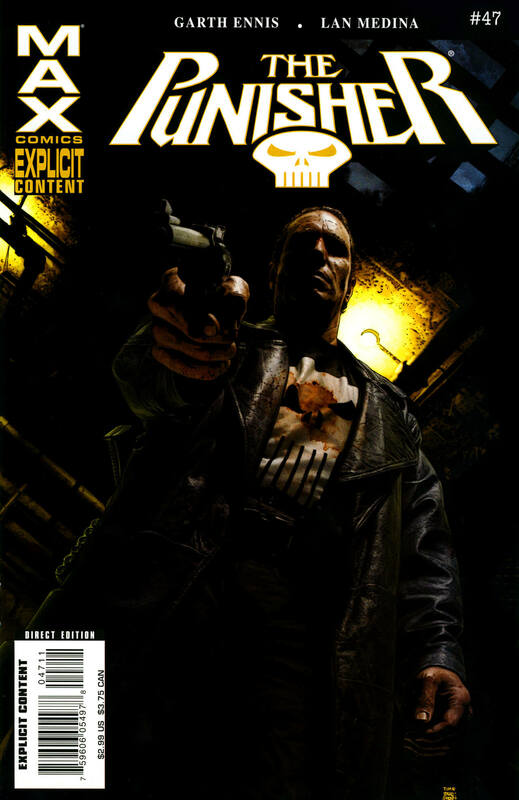 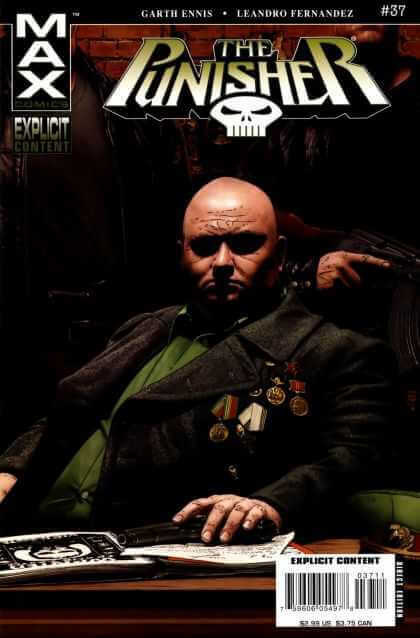 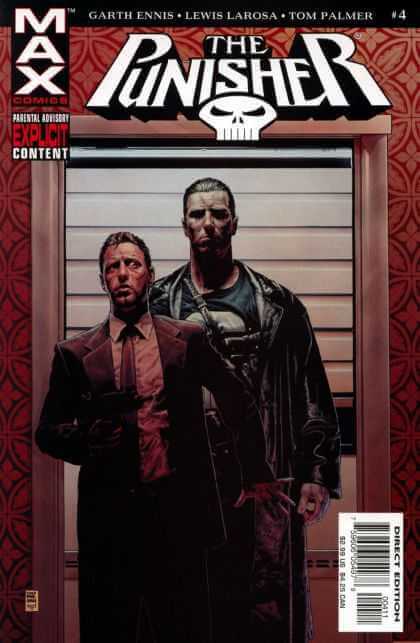 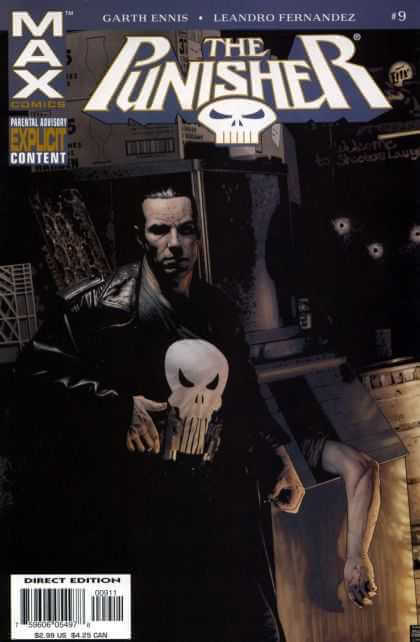 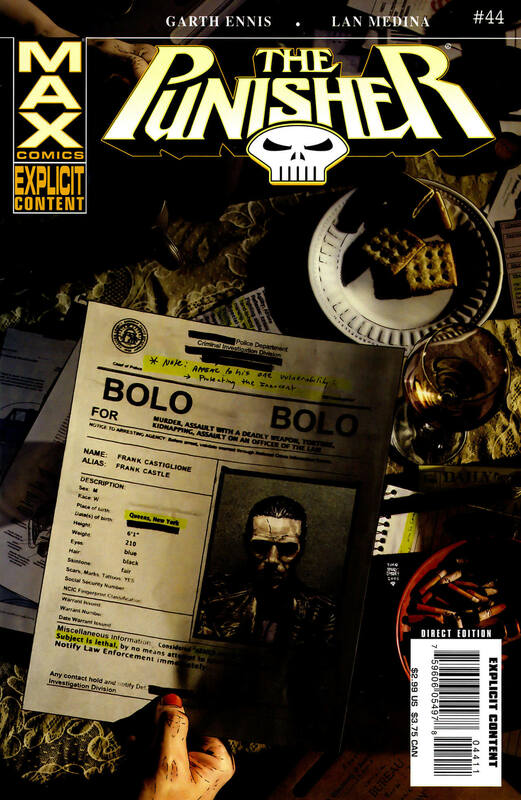 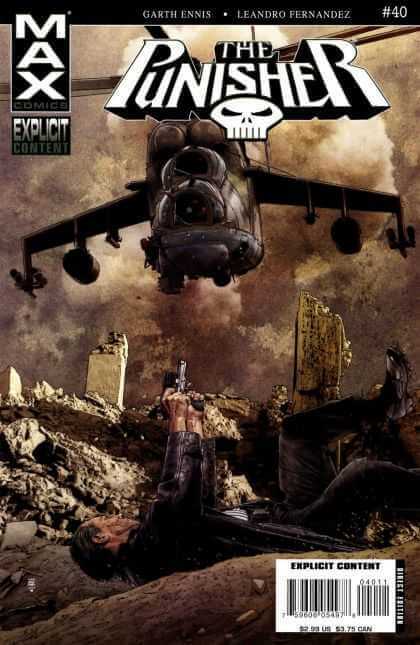 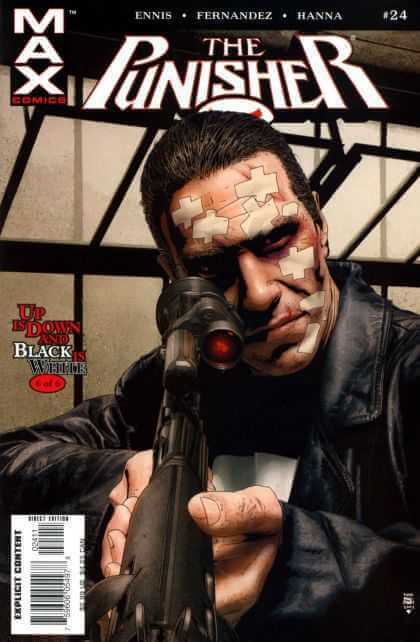 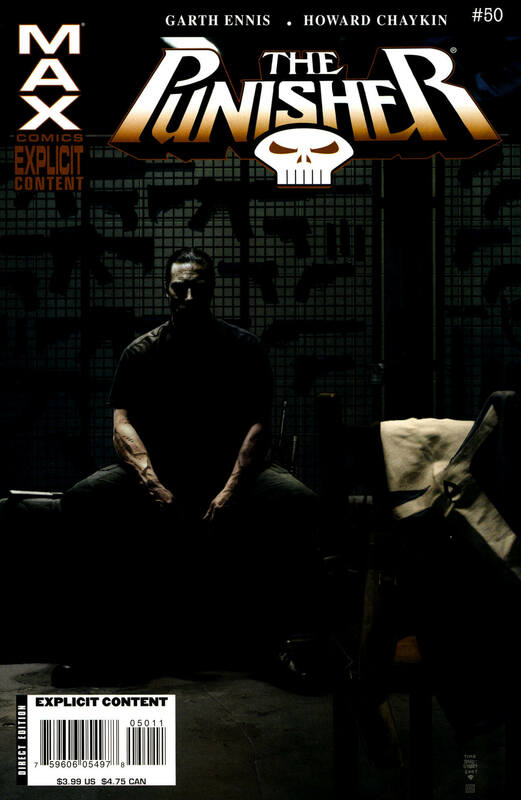 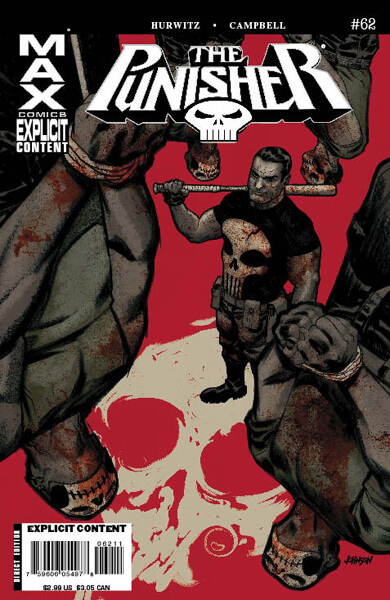 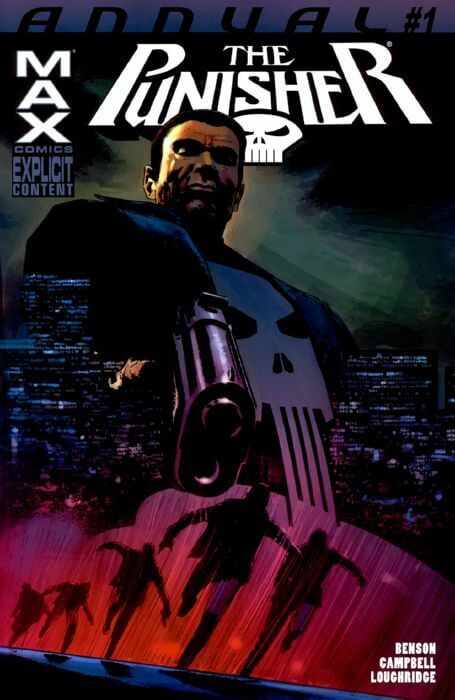 January, 2007 $2.99 “Man of Stone: Part 5” Cover Artist(s): Tim Bradstreet Writer(s): Garth Ennis Pencils: Leandro Fernandez Inks: Leandro Fernandez Colorer(s): Dan Brown Letters: Randy Gentile Editor(s): Axel Alonso The Punisher comes face to face with the man of stone.